If you’ve been reading your entertainment news lately, you’re aware that Sony announced it would not make Spider-Man 4 with director Sam Raimi or star Tobey Maguire. In fact, the studio has announced plans to disregard Raimi’s blockbuster Spider-Man trilogy altogether and entirely reboot the franchise. 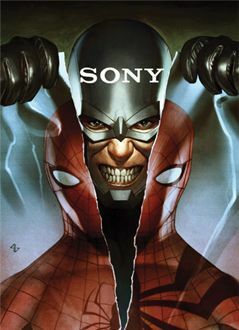 The new movie will hit theaters in 2012 and will return Spidey to high school. This decision has been met with serious backlash from fans dedicated to Raimi and the characters he spent three films developing. But the most unanimous complaint seems to be a general disdain toward the idea of starting over and re-learning a character through yet another origin story. Indeed, finding something positive to write about this development remains a challenge. Warning signs arose in the months prior to Sony’s announcement, when rumors of the studio’s displeasure with Raimi’s choice of villain rumbled out of Hollywood. Raimi purportedly wanted John Malkovich to play The Vulture, an aged baddie that for Sony didn’t seem marketable to youth culture. But Raimi has always favored classic Spider-Man villains and storylines, whereas Sony insists on keeping the franchise as hip and modern as possible. David Lindsay-Abaire (Robots), Gary Ross (Pleasantville), and James Vanderbilt (Zodiac) each completed drafts of the Spider-Man 4 script, but none of them could mutually please both the studio and their director. Rather than force the matter, the studio opted to end negotiations with Raimi and start anew, shockingly breaking an eight-year venture. In a way, it was a smart choice, as no one wanted a repeat of what happened on Spider-Man 3. For that film, Raimi wanted Sandman as the sole villain, but Sony insisted that the director also incorporate Venom in a truncated role, much to the chagrin of fans. As a result, what for some fans is Spider-Man’s ultimate storyline was reduced to a mere blink of its possibility. To be fair, though, had the studio just let Raimi make the film he originally wanted to make, in all likelihood Spider-Man 3 wouldn’t have been the mess it proved to be. Same goes for the never-to-be Spider-Man 4. Instead of continuing their increasingly combative relationship with Raimi, Sony has opted to hire a less established director—someone who will have no footing if he attempts to assert himself in debates about creative control. Sony has revealed that music video director Marc Webb (whose first and only feature (500) Days of Summer was impressive, but not groundbreaking) will helm the reboot Spider-Man movie. Webb’s take, based on a script by James Vanderbilt, has been budgeted at $80 million, a very low cost for a tentpole superhero franchise. The story reportedly involves Peter Parker in high school and takes its inspiration from the Ultimate Spider-Man comics. The production will contain a cast of unknowns and a minimum of special effects. This description, summarized from Sony’s press release, sounds more like the setup of a Spider-Man primetime television series than the pitch of a feature film. If that’s the case, the result might be something like the WB’s Smallville, with Parker fighting acne and hormones more than super-villains. Maybe the teenage Spider-Man will end up fighting his science teacher, Dr. Octopus, or maybe the script will contain a teen version of Scorpion or Mysterio for Parker to encounter. Not likely. According to the press release the new movie will be more of a teen soap opera about Parker’s guilt over Uncle Ben’s death. In other words, a complete rehash of the origin story told in Spider-Man, only with less action. What’s shocking is that Raimi’s Spider-Man was made in 2002, and every film in his trilogy proved hugely profitable, yet Sony is willing to dismiss all that. Indeed, all three films are within the top 20 all-time domestic moneymakes in box-office history. Each entry in the franchise, save for the last, was highly celebrated by the majority of critics and audiences. Roger Ebert called Spider-Man 2 “the greatest superhero movie ever made” and it’s hard to argue with him. Clearly there was nothing wrong with Raimi’s interpretation, as characters were three-dimensional and the human story always partnered wonderfully with the super-human story. That Sony is willing to abandon that relationship and established storyline for something considerably less appealing is bold, if incredibly stupid. The obvious comparison is what Warner Bros. did with Batman. Except, after four increasingly bad Batman features, the story needed a reboot, and Christopher Nolan created a new vision that improved upon everything before it. But Sony’s decision to return Spider-Man to high school isn’t about improving something that was broken (because it wasn’t broken), it’s about securing the youth market. Sony’s decision is about money, about reclaiming today’s teen audiences by making the future of the Spider-Man franchise about teen struggles with a superhero twist. While this will surely please fans of Twilight (as long as Sony signs a dreamy actor to play Peter Parker), the move places distance between the reboot and non-teen demographics. Whereas everyone could relate to Raimi’s Spider-Man films because they were about universal concerns, the proposed Marc Webb reboot threatens to isolate its audience to a young demographic. Without doubt, Sony has bigger plans for the franchise down the road. The main actors coming on to the project will unavoidably sign six to nine-picture deals, akin to Samuel L. Jackson’s contract when he agreed to play Agent Nick Fury of S.H.I.E.L.D. throughout the various Avenger-character movies. Perhaps Sony is planning an eventual crossover with the other Marvel characters on film. That would explain why Sony wants a young enough actor to take over the role. Because in ten years, after the new Spidey has his own trilogy and the Avengers have assembled, the Web-Head can join other Marvel icons in cinematic crossovers. For both Marvel and Sony, that spells big bucks. The problem is, while the minds behind Marvel’s productions (Iron Man, The Incredible Hulk, the upcoming Thor) remain dedicated to a solid product both artistically and commercially, Sony’s reboot push seems more intent on making money than making a quality film. Of course, these are only the perceptions of a critic completely baffled and enraged over Sony’s amazingly poor decision to get rid of Raimi and Maguire. As more details of the Spider-Man reboot project unfold, some questions will surely go unanswered: Why wouldn’t Sony just use their established franchise to move forward in the same continuum? Hire another actor to play Spider-Man, find another visionary director to take over, and simply move on. Why waste the audience’s time with the second Spider-Man origin story in a decade? Starting over feels like an unnecessary and overtly commercial step backwards; so does their choice of director and high school-based plot. This is just another example of Hollywood’s increasingly lazy, riskless brand of moviemaking that, in its attempt to make box-office records, seeks to engage audiences in the most undemanding way possible. In the end, at least some good will come of this: Sam Raimi is now free from Spidey’s web and can move on to better things. Though he’s been circling a World of Warcraft feature for some time, it’s more likely that his next film will be something personal, allowing him more freedom in terms of creative control. Fans of last year’s Drag Me to Hell want more Raimi horror, whether it’s another original story or not. Maybe Raimi can place those Part 4 energies leftover from his scrapped Spider-Man project and finally return to the Evil Dead franchise… Whatever the project may be, it will be highly anticipated by Raimi’s always devoted fanbase.